The inspiration for this lovely design is from a Christmas decoration my Mother set on our piano every year. It was a part of our family's Christmas tradition, as special to my sister and myself as the decorating of the Christmas tree. Use this lovely design to create your own framed family holiday heirloom as a mantle piece or wall hanging. This design is available for the 6.25" x 10.25" and 7.75" x 11.75" hoops. The sewn out size for the 6.25" x 10.25" hoop is 6.23" W x 8.12" H with 35,546 stitches. The sewn out size for the 7.75" x 11.75" hoop is 7.68" W x 10.01" H with 45,136 stitches. 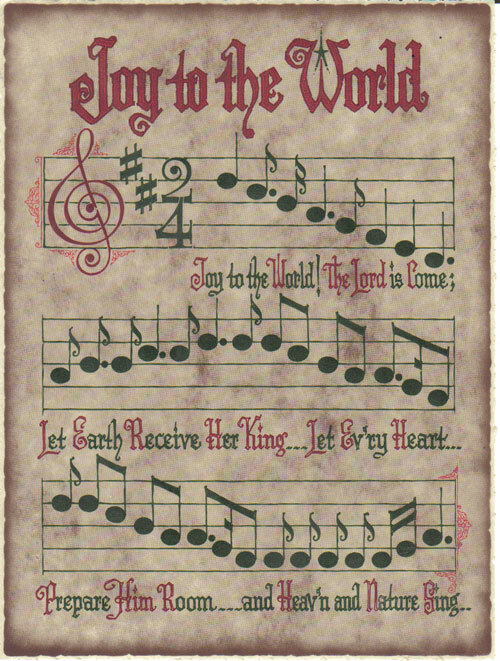 This design is also available in our Christmas Sheet Music set.